Danelaw is a fascinating time for Britain, where the vikings invade and settle rather than just engaging in seasonal raids. The full blown invasion resulted in a huge chunk of the British Isles being under Scandinavian rule – the Danelaw. Abomination takes place in 888 – shortly after the Treaty of Alfred and Guthrum, which formally established the borders of Danelaw. If you want to learn more (and you should – it’s fascinating) there’s a ton of information out there. Abomination takes place in this period of time. It’s historical fantasy, so there’s monsters in this world, but the history is still real. So the map had to be accurate, and feel timely for the period. As with all mapmaking projects this involved a long phone call, with lots of questions, followed by a sketch. The sketch serves two purposes – 1. get the core features in place and signed off 2. give a feel for the style. This was a quick and dirty sketch – but there are clear elements here that Gary was able to make a choice on. The borders of Danelaw are clearly laid out (turns out I’d got them a little off – this set of borders reflect Danelaw before the Treaty of Alfred and Guthrum, silly me). The fonts are there (not my shoddy handwriting – the large labels). The style of the sea is a large part of this map – Britain has a lot of coastline – so I made sure there was a representative chunk of illustrated coast for reference. And, most importantly, the overall composition. It’s key to make sure that the right pieces of the map are in focus for a novel. In this case – even though most of the action takes place in the Southeast, the Danelaw itself is an important entity. 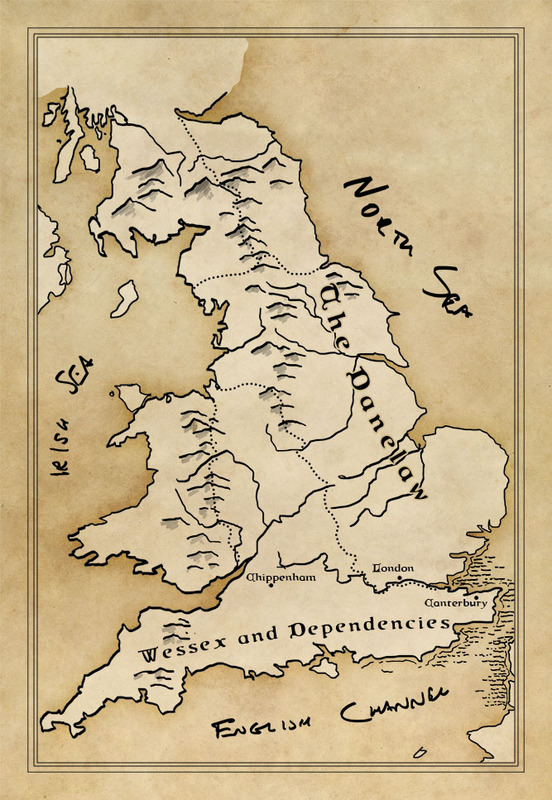 Its as important that the reader understand the magnitude of the Danelaw, as it is that they can see the key locations in the south where the action takes place. The sketch formalized that decision, and we could all sign off that yes, this was the kind of map of Danelaw we were all after. Next step – line art! Now, in many cases the line art stage is the intermediate stage, but in this case the final map was going to be black and white. 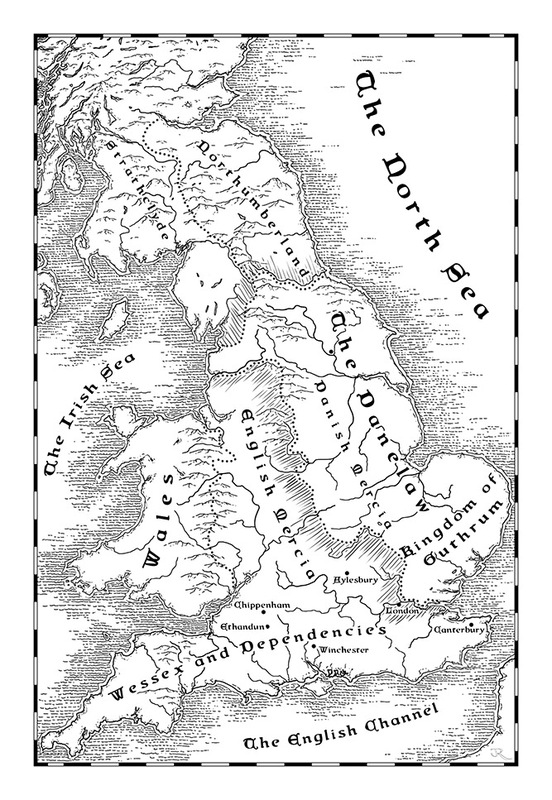 There’s something very clean about a bookplate map in a novel, but they are rarely colour. So from sketch we went straight to final. Between the sketch, and this final, a lot has changed. Most obviously, there’s a lot more detail. But note that this – in general – doesn’t actually convey a lot more information. The key details are all still in the same place. There’s more text – we added locations we care about – but with some very careful label placement, nothing looks too crowded, and you can still read all the place names. With the detail in place, all the illustrative detailing can happen. In a black and white map, you have very few places to hide – so every line has to be intentional. Humans are very good at pattern recognition, and a screw up is easy to spot. Also, any computer generated patterns stand out like a sore thumb, so this is all hand drawn (other than the fonts and the borders). In this case we care about the coastlines (it’s Britain, you have to care about coasts), hills and mountains (they define a lot of the current geopolitical boundaries today, and make the UK recognizable), and the rivers. Skipping forests was a godsend – they would just clutter the map, and I know trying to get an accurate representation of forestation in the 9th century would have tested my research skills to the limit. 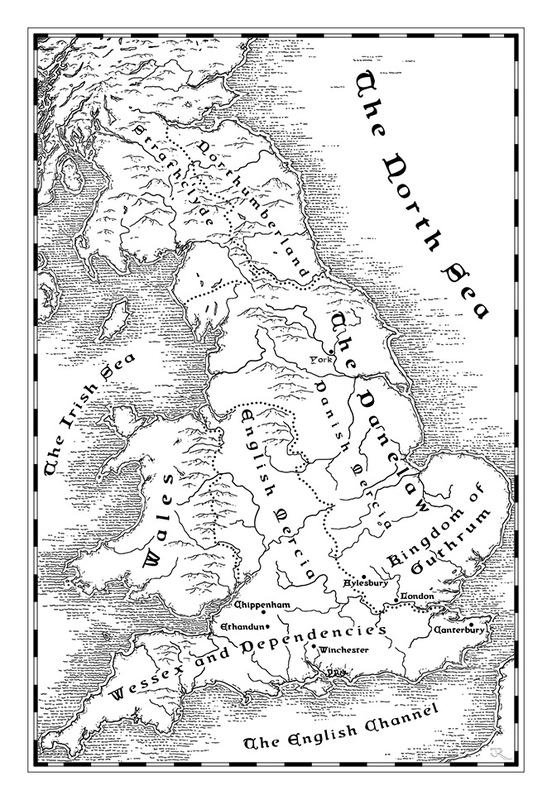 Final Danelaw Map created for Gary Whitta’s novel Abomination. This was a great project to work through, and a lot of fun to map a country I know very well, with borders that look so alien. If you like alternate fantasy in historical settings, check out Gary’s novel Abomination over on Inkshares. The model is Kickstarter for literature, and I’m intrigued to see how this pans out. Also, the cover is gorgeous. Go check it out for that alone. Is York/Jorvik supposed to be unmarked on the final map? There’s a dot but the label has disappeared since the previous version. On that topic, was no labelling of any cities outside Wessex deliberate? Bamburgh/Lindesfarne and Durham in Northumberland, Lichfield and Chester in Mercia were all important locations. In my opinion It just looks very imbalanced only having the locations in the south. 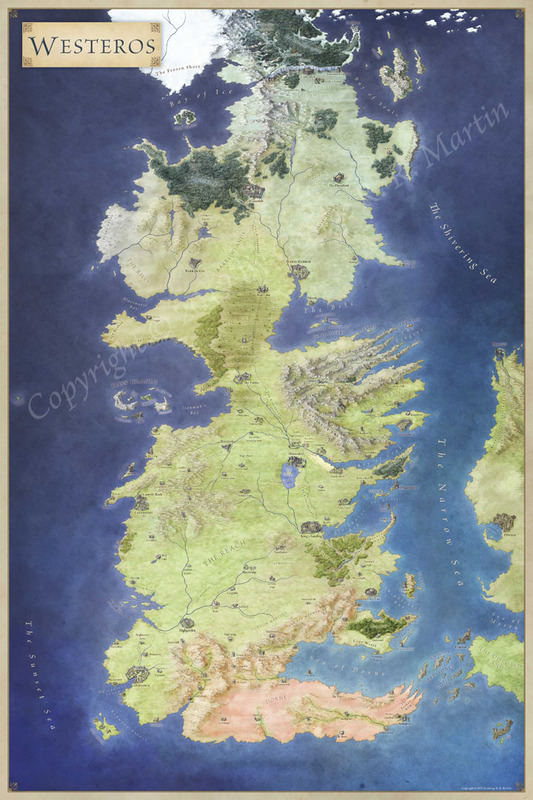 Other than those nit-picks, it’s a very pretty map! Yes – it was deliberate to focus labeling on the south where the action takes place.